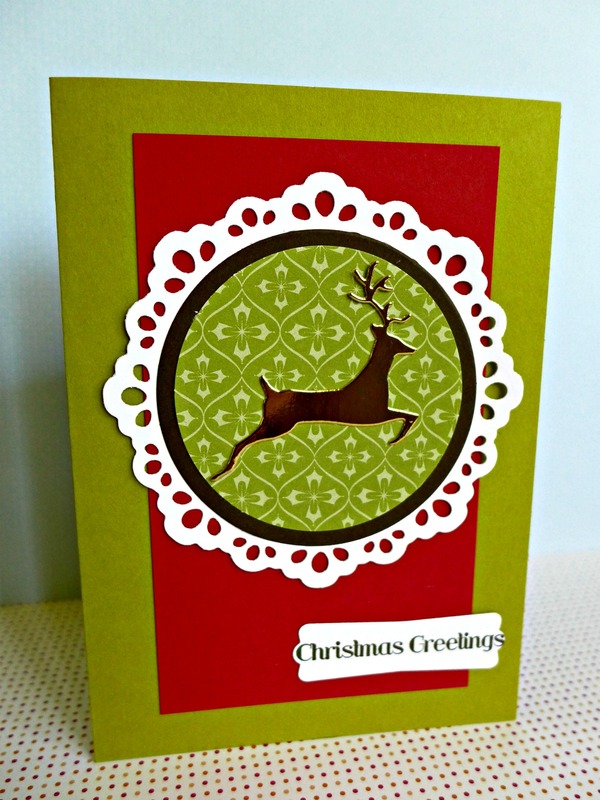 I love this leaping deer cut on gold foil card, along with Stampin' Up! colours. 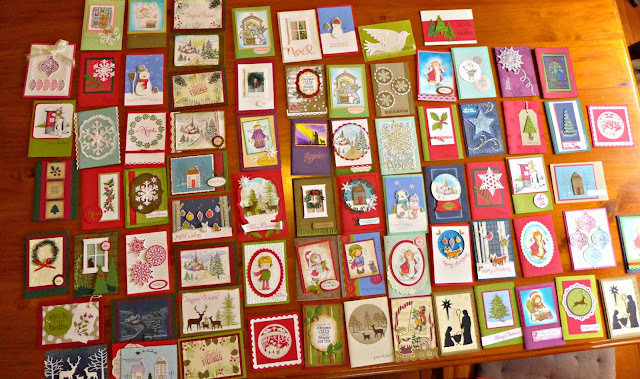 I was really happy with the way this card turned out, it would be a good one to produce en masse. 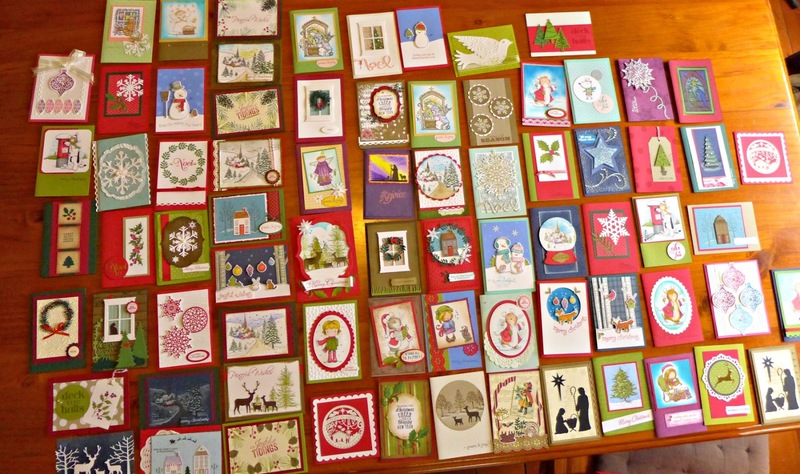 Trouble is, I like making 80 different cards each year! Labels: deer, diecutting, Memory Box, Stampin' Up!